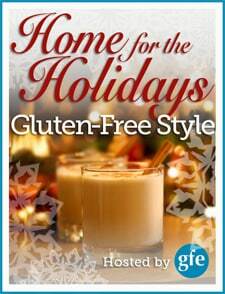 So yesterday, I made a big faux pas and said that it was Day 13 of our Home for the Holidays … Gluten-Free Style event. Well, no, actually it wasn’t … today is Day 13, which means that we’re halfway through our event. 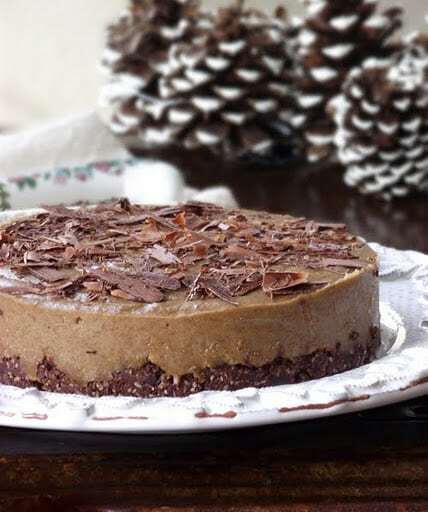 Now yesterday, when I was thinking it was the 13th day of our event, I said there was nothing scary about Elana’s Gingerbread Apple Crisp, and the same holds true for Kelly’s Peanut Butter Pie with Double Chocolate Crust. She made hers with sun butter, so if peanuts are forbidden in your house … no worries, just use sun butter like Kelly did to make this scrumptious pie! Did you catch the part about Double Chocolate Crust? And please take note that this pie is gluten free, dairy free, soy free, egg free, and vegetarian. It’s not vegan because Kelly used honey, but I’m betting that you could experiment with the recipe and use agave nectar or maple syrup perhaps. Whenever I substitute either of these ingredients for honey, I use a slightly lesser amount because they are thinner than honey from our bees. For example, one cup of honey is used in my Pumpkin Butter recipe, but I recommend about ¾ cup of maple syrup or 7/8 cup (just under a cup) of agave nectar as substitution options. Back to Kelly for a moment … she is a dear friend and such a creative gluten-free, dairy-free cook. I am always blown away by her creations. That will not come as a surprise to you looking at this pie or if you’ve read any of the comments on her blog, or especially if you’ve made any of her recipes! In addition to being one of our very favorite bloggers, she’s also the author of two cookbooks. First, there’s her The Spunky Coconut Cookbook, which is now in its second edition, and will be offered as one of the prizes in our daily giveaways later in our event. Second, there’s her Grain-Free Baked Goods and Desserts that was just offered in Brittany’s giveaway (winner will be announced with others at the end of the week). What’s Kelly giving away today? 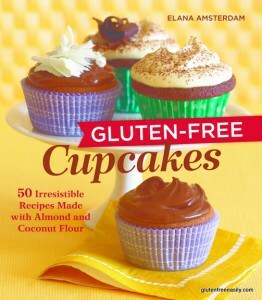 She’s giving away both of Elana Amsterdam’s (Elana’s Pantry) cookbooks, The Gluten-Free Almond Flour Cookbook and Gluten-Free Cupcakes, as shown below—there will be three winners! I’ve expressed my love of Elana, her recipes, and her cookbooks many time here on gfe! The winners will be so fortunate to add these to their kitchen bookshelves, or wherever they house their cookbooks. My gluten-free cookbooks are on an overflowing rolling bookshelf that we use as my support group’s library. My kitchen bookshelf that I designed to be built into the end of my protruding kitchen counter (and my father built for me) houses my old gluten-full cookbooks. I still use them all the time, either for the naturally gluten-free recipes or to convert the gluten-full recipes to gluten free, but I digress. As I shared yesterday, Elana’s recipe are simple, satisfying, and delicious. I’ve tried countless recipes from Elana’s blog and cookbooks and have never been disappointed. Tomorrow, we’ll have Ricki from Diet, Dessert and Dogs sharing her “home” and “holidays” post. Wonder if “the girls” will be involved? Yea, or nay, I know without a doubt that we can count on something very special from Ricki! you had me at that picture of PB pie! Cheryl–That picture is absolutely stunning, isn’t it? Wow! Wow! That PB pie looks amazing! That looks amazing!! Will have to try recipe! 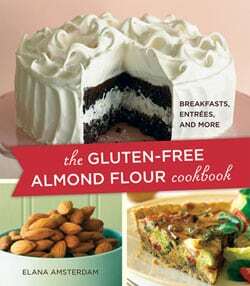 Where do you enter for the almond flour giveaway? My granddaughter just told me about it, as I’m fairly new to gluten free eating. Is there a good place to order it online? 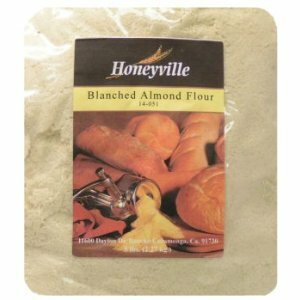 Hi Cindy–Any entry (comment left) for the entire event on any of the blogs is an entry for the almond flour or any of final or special prizes along the way. So follow along and leave comments every day and you’ll be entered into all. 🙂 You’ve left a comment here, so you have entered. You can order from Honeyville’s site directly (if you sign up for emails, you’ll hear about discounts from them) or Amazon here. Best of luck with gluten-free eating! Hope our holiday event helps you out quite a bit. Please send me an email if you have specific questions. Perfect, thanks! I just signed up with them, and added the Amazon link to my wish list. One quick question, my grand-daughter wanted to know if the different consistency still allows the almond flour to be used equally to flour, as in measurements. Shirley, as always, everything looks delicious. I come back to your recipe index again and again. Just tonight, I made your turkey tetrazzini….rave reviews from the family, and empty plates! Thank you. Thanks so much, Susan! Happy Holidays! Hi Lisha–Welcome to gfe! 🙂 I’m so happy that you are finding my site and our Home for the Holidays event so helpful! You will definitely enjoy food again, dear. No reason for you even to stop enjoying it … it’s just a “shift” that takes time to adjust to. 😉 The key is to figure out all the foods and the meals that you are already enjoying that are naturally gluten free/dairy free/yeast free. That’s the first step. Then you consider recipes and meals that can easily be made gluten free/dairy free/yeast free. Once you start looking at your food and meals that way, the light bulb goes on. Please be sure to look at my “tip sheets” under my Getting Started with GFE tab under my header. Here’s the link. Also check out Top 10 Reasons to Live GFE. Email me if you need more help! Thank you so much Shirley! I appreciate all your advice and help 🙂 Have a wonderful holiday! !